Katherine and Marilyn Hessler, two twin sisters who live in Oxford, said they used to dream about opening a store of their own. 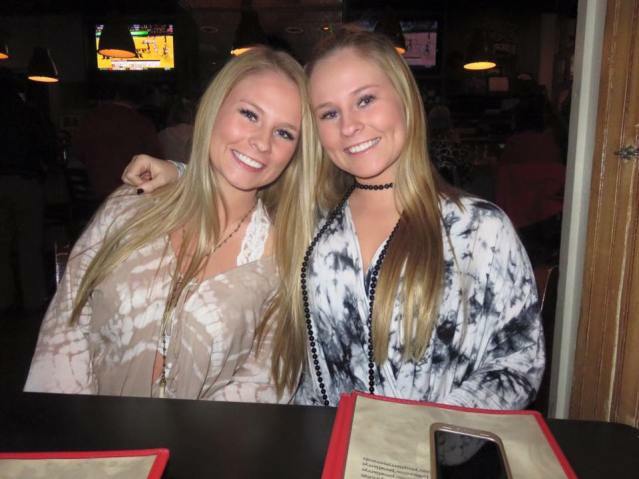 “I Just Have to Have It”, a small boutique located on the Square, is owned by these two motivated University of Mississippi students. By facing a competitive business market, and ultimately their fears of entering it, these young women have become successful entrepreneurs. “I Just Have to Have It” logo. Photo via Facebook. At the beginning of their business success, the two women first opened a store in their small hometown of Meridian. They soon found out that buyers were ecstatic over the well-priced merchandise, which included clothing, accessories, gifts, shoes and Greek life products. Marilyn said they try to distinguish “I Just Have to Have It” from other stores by having the most affordable items. Being newly developed business owners and having found success with their store in Meridian, they thought the idea of expanding to Oxford was intriguing. Over time the young entrepreneurs began to invest their money and become better oriented with the Oxford retail community. Although this was a new chapter in their lives, the sisters said they were ready for the challenge. Finding an affordable location in Oxford was difficult, but over time the Hesslers jumped in and found a location that suited them. “Our mom spotted us a lot financially, and she helped us find the perfect size building for our upcoming store,” Marilyn said. The Hessler’s store in Oxford opened in January of 2017. Both women are full time students at The University of Mississippi. They are often faced with challenges of being full time business owners of two stores, managing their work in the classroom as well as being heavily involved with their sorority, Delta Gamma. “Weekends are difficult socially because we travel back and forth from home, yet we also travel to market in Atlanta or Houston. Thankfully we have a supporting friend group that keep us up to date with sorority and social functions that take place. We have had to miss out on a lot to be fully devoted in owning our store but are willing to sacrifice these things to work towards our career goals,” Marilyn said. The two sisters have seen the importance of time management and the need for efficiency; therefore, both attack different aspects of running the store. Katherine has taken the responsibility of working behind the scenes with shipping orders and keeping up with inventory and merchandise on the floor, while Marilyn puts her interpersonal skills to use on the floor assisting customers with any questions they may have. “It is very difficult. We are mostly in online classes and try to be at the store as much as we can. We stay late most nights of the week to make sure that everything is up to date and ready for the next day,” Katherine said. With so much success booming in this family-owned business, these twins have developed an early interest in retail. Their future goals in their business include expanding their stores in both Oxford and Meridian with hopes of having new openings in other towns in Mississippi. “We hope to one day be motivated to open more stores in Mississippi, possibly Starkville,” Marilyn said.